Your step-by-step guide to building your first Change Plan! 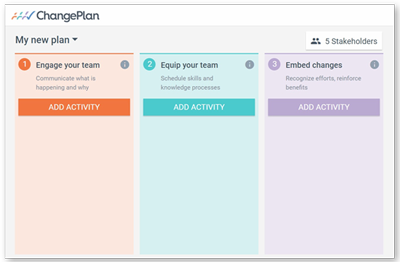 To build your Change Plan, you add activities to each column. This brings up the Add activity popup, from which you can select the type of activity you would like to add. As you hover over the activity icons you'll see a description in the help bar on the right side. If you'd like to learn more about any of the activities, click on the activity and then 'LEARN MORE'. 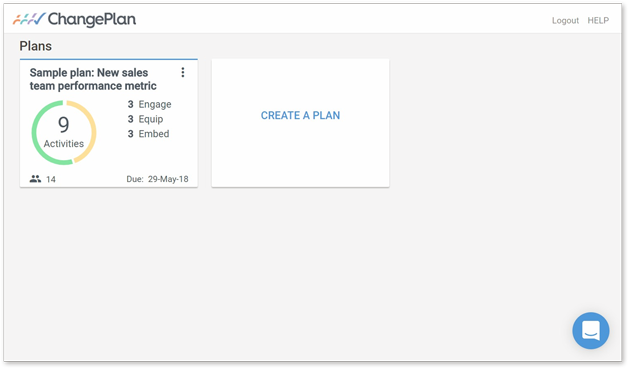 You can add details or notes about the content of the activity. This is especially helpful if someone other than yourself is responsible for implementing the activity. The name and email address of the person responsible for doing making the activity happen. 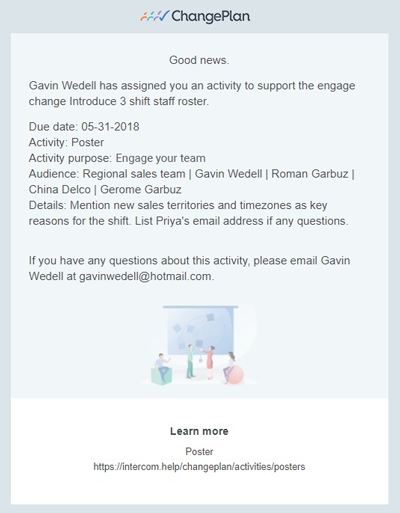 By default, Change Plan will list you as the person responsible for implementing the activity, but you can assign the activity to a colleague by entering their name and email address. You can also click to notify that person via email. 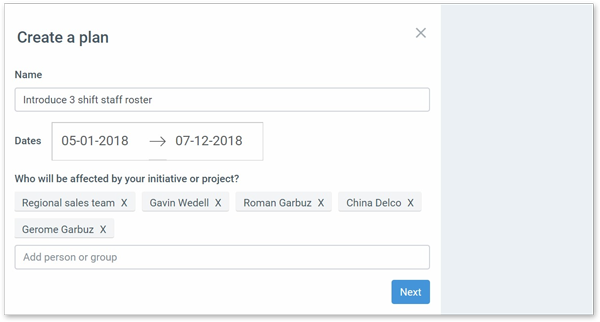 By default, Change Plan includes all stakeholders as targets of each activity, however if you wish for a particular activity to only target a subset of the stakeholders, you can click to delete particular stakeholders. Hey presto! You've created a new activity card on your Change Board! Each activity card lists the activity type, an excerpt of the description, due date and the person responsible. It also has a check-box that you can use to mark the activity as completed. If you'd like to edit or view the activity, click on the activity card. 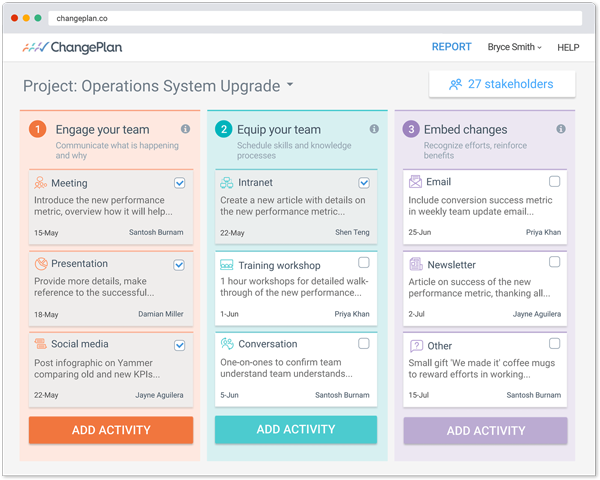 By adding activities for each of the 3 steps, you'll prepare a robust change management plan for your project. How many activities should I plan for each step? These checklists can be used as guides for the activities you plan. A good approach is to make sure that the activities you've planned cover all of the points in the checklist.  The scope of your project and how many people it will affect will also guide how many activities you'll need at each of the 3 steps. For a small project, you may only need 1 or 2 activities to cover all of the checklist points for each step. 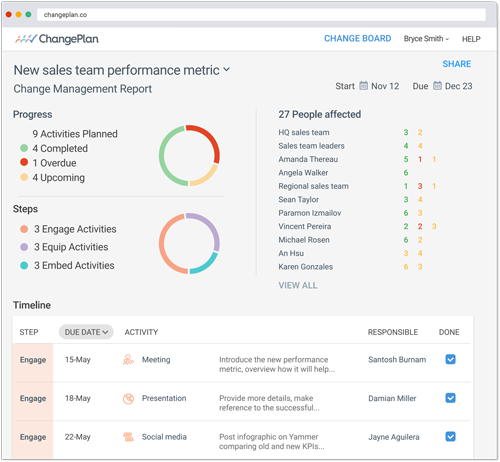 Click 'VIEW REPORT' on the top right of the Change Board screen to access your project's Change Management Report. You can share the Change Management Report with your project sponsor or manager to keep them updated of the progress of people activities. 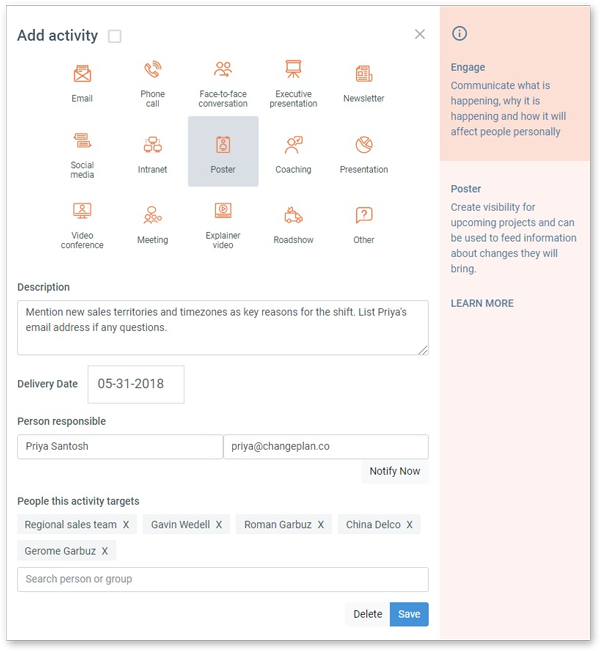 The email also has a link to a guide with more details about the activity type. Tick them off as they are completed to keep the Change Management Report up-to-date. Email us at [email protected] or message us using the messenger at the bottom right corner of the Change Plan app. We'll get back to you as soon as possible.